Powder Coating: The Complete Guide is introducing a new section: The Garage. Here in "The Garage" we will discuss helpful garage tips, tool reviews, car talk, and whatever else comes to mind. Enjoy! Every 2018 Black Friday Tool Ad on One Webpage! Black Friday is just around the corner and whether you love it or hate it, it is a great time to stock up on some new tools and supplies for the garage or shop. 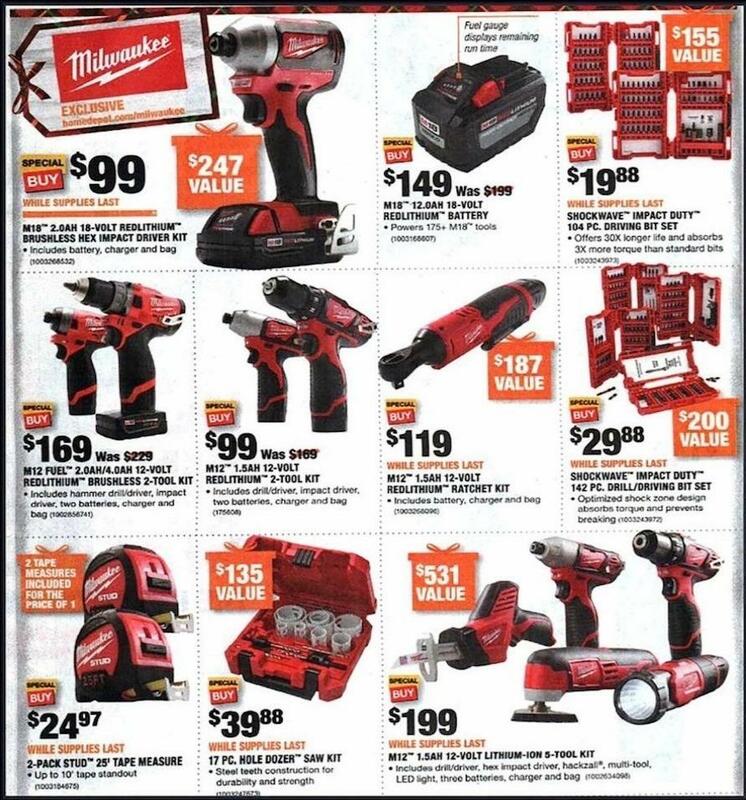 Each year I compile every Black Friday tool ad one one page to make it easier for you to compare prices on the tools you want. This year, I decided to do some quick editing of the ads to remove everything that wasn't tool or shop related. 99% of the extra junk is removed so that you can focus on what is really important. Check out the ads. Every 2016 Black Friday Tool Ad in One Spot! 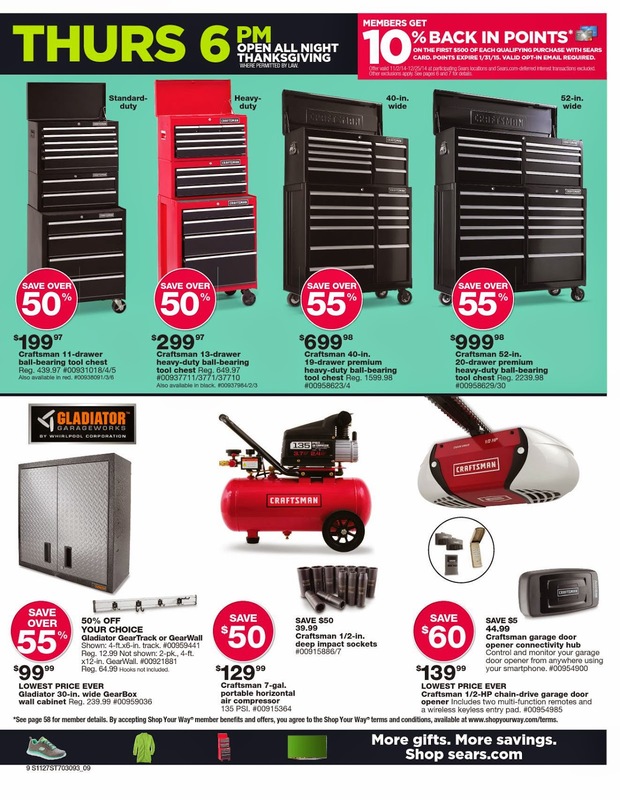 Black Friday is just around the corner and it is a great time to stock up on some new tools and supplies for the garage. 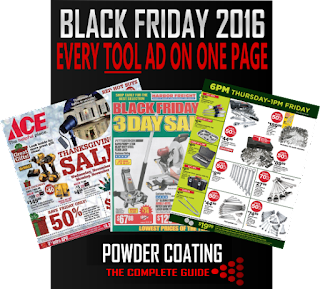 This page will be updated as we get closer to Black Friday to include tool sales from all of the popular stores. See all of the ads here. Throughout my car restoration process, I was in search of a way to prevent rust and corrosion on bare metal parts that could not be powder coated and also bare metal areas on powder coated parts. One of my main considerations is that the product is dry to the touch. 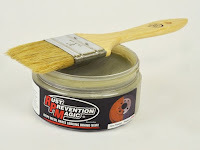 I have found a product that works very well called Rust Prevention Magic, or RPM for short. See the results. 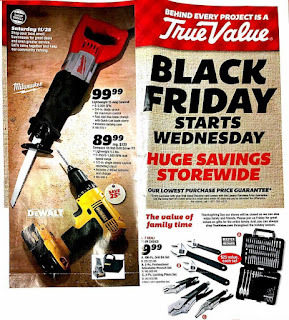 Every 2015 Black Friday Tool Ad in One Spot! The Craftsman Complete Portable Powder Coating System was my first powder coating gun. I did not have an air compressor at the time and this gun and its variants are the only powder coating guns that do not require an air compressor, so the choice was easy. This thing originally sold for over $200 but due to slow sales, it has been discontinued and you can now pick them up for less than $100 online which makes it the cheapest powder coating gun available. For this price, this thing has HUGE value. I have successfully powder coated hundreds of parts with this gun even after I bought an air compressor. See the full review. Overall I am 100% happy with my purchase, my only regret is that I did not buy them sooner. I have had them for just about 30 days and I am still turning every small project into an excuse to use them. There are several companies competing in the Li-Ion market right now and they are all offering very similar packages. 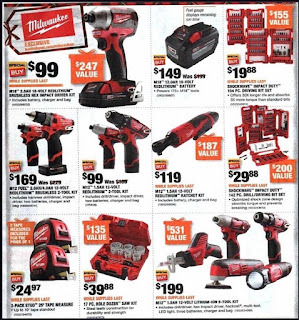 I have personally used Milwaukee and Dewalts line and I feel the Porter Cable offering is every bit as good as them, and Porter Cable seems to be the cheapest offering of the bunch. Read the full review here! Every 2014 Black Friday Tool Ad in One Spot! 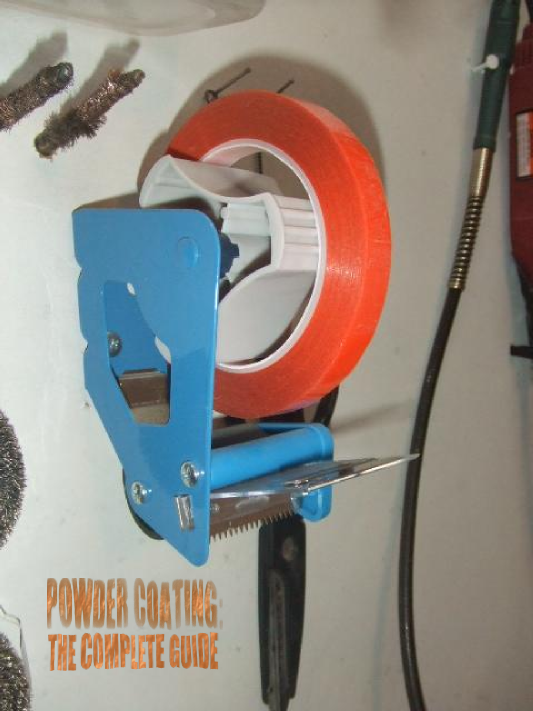 When you're masking off parts for powder coating, this tip will be especially helpful for you. I used to pick up the roll of high-temp tape, find the edge, pull off a piece, cut it with scissors, and set the tape back down. I repeated this process for each piece of tape I needed, all while wearing gloves (you're not handling your clean part with bare hands are you?). This made masking a chore, and it took forever. Then I came up with this little gadget. Learn how to make it. I like your site it's straight forward does not sugar coat the facts and its possible down side that's great .I would like to start a small business my self and I have an old 1969 jeepster commando that I can practice till I become proficient on the powder coating .I do how ever have a concern how to I calculate the prices to charge for each job .,is there a price chart or a formula on how to do retail pricing? Thanks, that is exactly the style I was going for. No reason for fluff when people are trying to find direct information. The prices vary significantly for different areas. It depends on several factors, such as competition in your local area, population, etc. Also there are some very well-established shops that are known throughout the country and they can charge more because they are known for quality. It is not the definitive price list by any means, but it will at least give you a price range to go by. These are prices for a single coat, usually each additional coat is 50% more than the original price. So if a part is $100 for the 1st coat, 2 coats would be $150, 3 coats: $200, etc. Once you start coating, you will learn which parts are easier and harder to shoot, and you can price accordingly. Unfortunately, high temp powders don't have the best reputation. Most of them will flake off after not much time. The best coating for any exhaust items is ceramic coating. Cerakote is a good ceramic coating with several different colors.